Ever think, "Why is my cat peeing on the bed?" (Or couch or somewhere similar?) Here's how to identify the reasons behind a cat peeing on the bed. 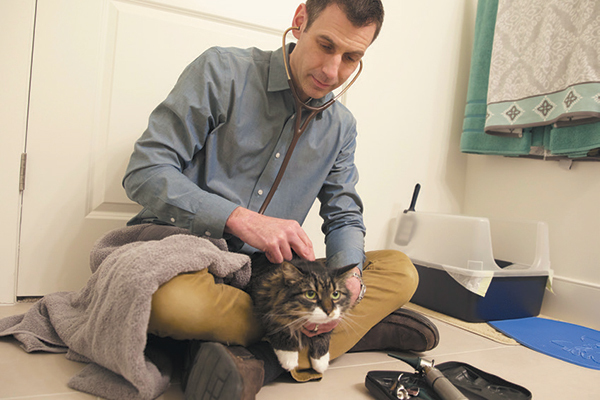 Do you have a hard time getting your cat to the vet? Meet MVS Pet Care, a mobile pet vet that brings professional house-call veterinarians to work with your cat on his own turf.